City Lit is where London Learns! City Lit are supporting WDP’s Capital Card scheme by giving Users access to over 5,000 courses at their London based campus in Covent Garden! First founded by the London County Council and welcoming the first students in 1919, City Lit has been offering students a range of educational courses for almost a hundred years! City Lit were rated as “Good with Outstanding features” following an Ofsted inspection in 2016. Their most recent student satisfaction survey saw 98% of students (Sept-Dec 2016 & Jan-Apr 2017) rate their experience with City Lit as Excellent (78%) or Good (20%). Courses offered range from Languages to Performing Arts, Science to History and Culture. There’s a course for everybody at City Lit! Browse the available courses now! single day will require 50 points. 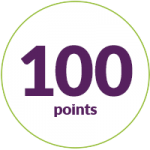 6 weeks will require 100 points. 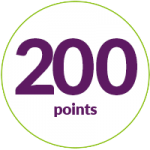 12 weeks will require 200 points. All are within 30 mins walk from the main building on Keeley Street. Please talk to your Key-Worker if you are interested in any of the courses available. They will assess your eligibility and complete the necessary enrollment paperwork. 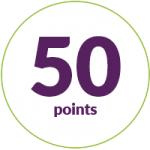 Day courses will require 50 points, 6 week courses require 100 points and 12 week courses will require 200 points. Please speak to your Key-Worker who will go through the necessary enrollment paperwork.